Autism is a neurological condition that changes the communication and sensory pathways of the human mind. It makes it very difficult for children to learn to speak and interact with others in the ways that we have come to take for granted. By the time an autistic child becomes an adult they may be able to speak and go about life solo or they may be dependent upon caretakers. In going out into the world, many are forced to either participate with no adjustments made to accommodate their uniqueness or simply not partake in most activities because the sensory input can be too painful. Autism affects 1 out of every 68 children born in 2016, a number that has more than doubled since the early 1990’s. Some might be tempted to think that this is because we’ve become more aware of it and are actually catching it more frequently but that is not entirely the case. There really are more persons being born on the spectrum now than ever before and as they age up they will need to find acceptance. For us, that means we need to make a safe and inclusive environment in our classes and shows for them to participate and attend performances. Everyone knows someone on the spectrum, everyone has either a friend or a relative affected by autism and many reading this now are probably on the spectrum too. These are your students and fans, the children of your students, the siblings of your students, they are your audience. Autism may present unique challenges but these are nothing that cannot be overcome with a little creativity and patience–two fundamental principles of being an artist. How to be an inclusive dance teacher! If you are a dance instructor and you want to be inclusive of people who are on the spectrum but do not know where to begin, I have some suggestions! Many may feel that they want to be inclusive but don’t feel like it is their place to try to teach people who have a neurological condition that they don’t personally understand. Please abandon that thought process. Inclusivity is not segregation. Everyone can be an ally and those who have the patience and creativity to teach can also learn how to provide with an open mind. What you need to understand foremost about Autism is that people on the spectrum experience the world differently. You cannot see, hear, smell, taste or feel half of what they are taking in at any given moment. To be a good dance instructor you will need to learn to control the environment and isolate the senses as much as you would isolate and layer parts of the body. Do not ask your students and audience to do this for themselves, they do not have nearly the control over the environment that you do. Their sensory input is not a switch that can be dimmed or turned off or on. You can make the biggest impact here and the actions you take will make the difference between participating and not. Try to limit the sensory input of the environment by reducing sound (cymbals, clapping, ululating), lights (mixing natural and unnatural light, flashing lights, bright lights), and smells (perfumes, incense or oils, using scented cleaners). These are the simplest micro-changes that you can make to the landscape and they make a big difference all together. If you usually have your students face a mirror, make sure that you are also facing it. This makes it easier to isolate where the student needs to be looking. Consider asking students to wear basic black in class while you wear blue or some other contrasting color. This reduces “background” color input and directs the focus towards the instructor. 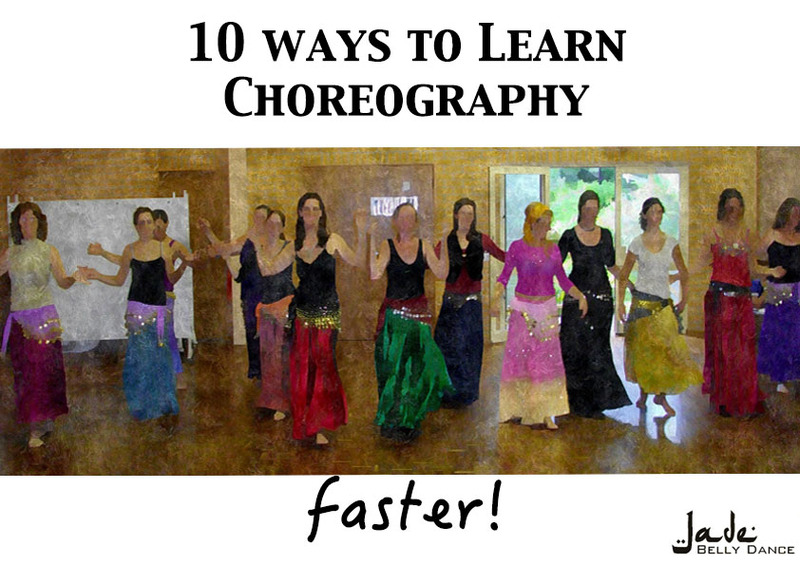 Try teaching by choreography rather than allowing just any music to play in the background. This connects a specific movement to a specific sound. It is easier for many to learn by pattern than by improvisation. ATS and ITS formats (without cymbals) can be really good for this if your student has an affinity for cues. Some will and some will not but it is an idea to try. Count! 1-8, 1-6 or whatever the beat might be. Reinforcing a numeric pattern is a fantastic mnemonic device. Ask your students to count silently with tongue clicks rather than counting with their lips as it can be very difficult to reprogram the body once that lesson has taken hold. Every student should be provided with the opportunity to succeed gloriously by playing to their natural strengths and interests and autistic students are no different. Some aspects of dance are better suited than others. A taxim set to to a singular slow instrument may be easier to follow than an orchestra. Whirling and spinning may provide a positive sensory experience by shifting the student’s balance in the inner ear. Working with fun sensory items such as wings and silky veils may be soothing and interesting to both participate in as well as watch. Do not expect or demand eye contact or physical contact in your instructional environment. No matter where your student is looking, they are probably paying attention the best way they are able. Invite the student to touch you if you feel that you need a tactile example but limit your touching with them unless you are invited.You may also suggest your students wear earplugs or sunglasses in your classes if they need them. They may have other adaptive or assistance gear that they prefer but it is good to initiate the conversation and let them know that such things are okay. Make sure your other students know why these items are being used and don’t allow them to make comments about their use. Let it be so normal that nobody thinks twice about it. (One of my students uses gum. Consider it a necessary therapy). Involve your other students and audience members by making them an active part of inclusion. Respect them by giving them the tools they need to be a good teammate. Show them how to be inclusive. Lead by example and don’t expect anything to be common knowledge. If you hear your students using inappropriate language (example: “That’s retarded.”), don’t let it continue. Nobody needs that. If you have a place in your studio that you can designate as a sensory calming area it would greatly help. These places are a retreat where students who are overstimulated can go and decompress for a little bit. Think “quiet, soft lit and comfortable.” Add a perpetual movement toy or something similar for those who need something to focus on for a little while. It can help to drown out painful stimuli. Remember to always listen to your Autistic students and peers and take their word above anything you read online or in a book. Trust that they know their own bodies. Be supportive and always reinforce supportive language. Be patient and always stay positive. Most of all, get ready to learn from them because they will change how you see and understand the world. 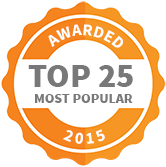 **Waving excitedly or jazz hands instead of clapping and cheering. **Spotlight solos (to watch and maybe participate in). **Encouraging self-massage to get the body to move. **Breathing exercises (with counting) as part of every cool down. and cooperative dance environment where they can feel safe and participate fully. WIN a quality Belly Dance COSTUME OR DARABUKA! 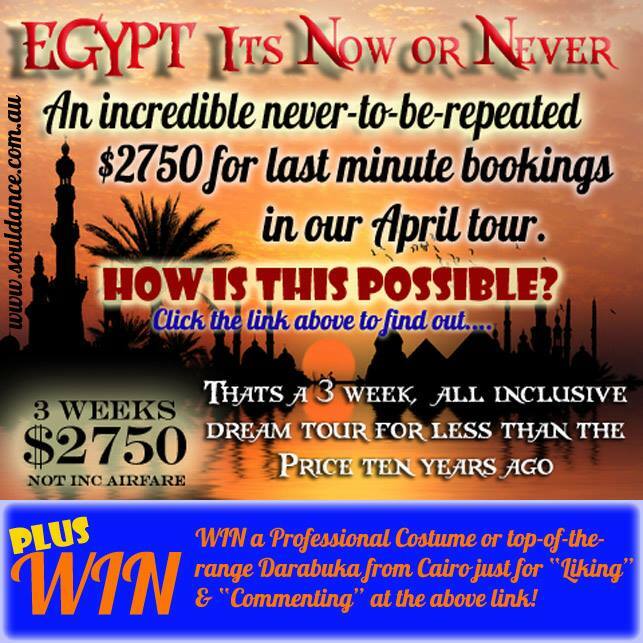 WIN WIN WIN a quality BELLY DANCE COSTUME OR DARABUKA as part of Soul Dance Tours “EGYPT-NOW OR NEVER” Facebook Promotion. Soul Dance Tours are amazing!! And for those in a position to up and GO – check out this trip at an all time low price less than it was ten years ago! I went on this tour and it was incredible. One of the best experiences of my life. That price is in AUD – and yes dancers, drummers and just ordinary folk from any country can go on the tour (although the win a costume or drum bit is only for aussies). It includes regular things like accommodation and sightseeing plus dance classes (see soul dance website for exact details). Tourism is way down in Egypt so you have many of the once crowded tourist hotspots to yourself. Perfect for photos. Margaret that runs these tours just got back from 9 weeks in Egypt and tells me it is perfectly safe. Even better – I am trying to sort out my travel plans to meet up with this tour and say hello for a few days. Me on a Soul Dance Tour of Egypt. Buy a costume, ride on a camel into the desert and get your photo taken in front of the pyramids. – Yeah you don’t that on a regular tour! 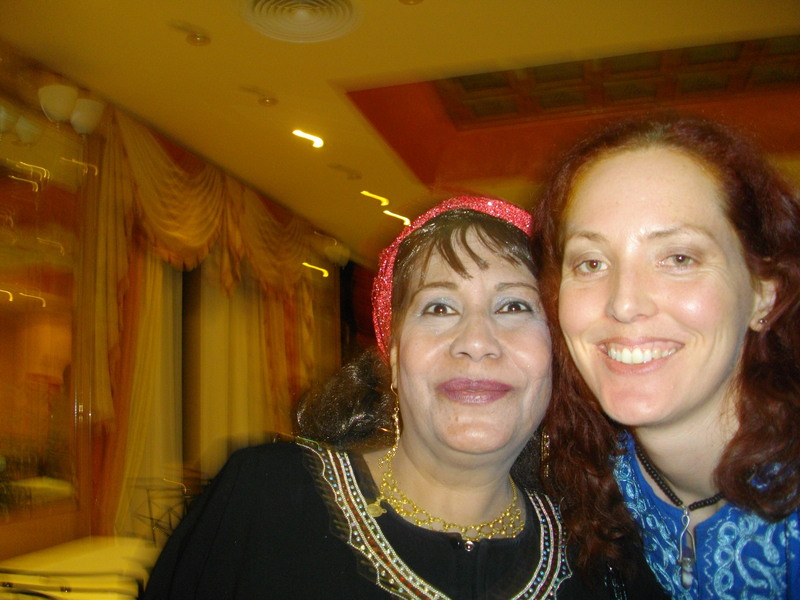 Not a great shot but here is me with Khariya Maazin – last of the ghawazee dancers – just after our dance class with her. Dance classes on holiday – how to make it easy. When taking holidays – is it worth squeezing dance classes into your schedule? With flights accommodation and organising what sights to see, does adding dance classes to your itinerary just slow you down? Recently I had the good fortune of travelling over to Bali with a friend. It was a short trip for leisure, sightseeing and shopping. I briefly toyed with the idea of offering my skills as a belly dance teacher for a workshop or 2 but decided against it. It would have been good to do for promotion etc. but one has to have some down time! I wanted to refill my cup and return refreshed. That’s not to say I had a trip devoid of dance – of course not!!! I love dance! 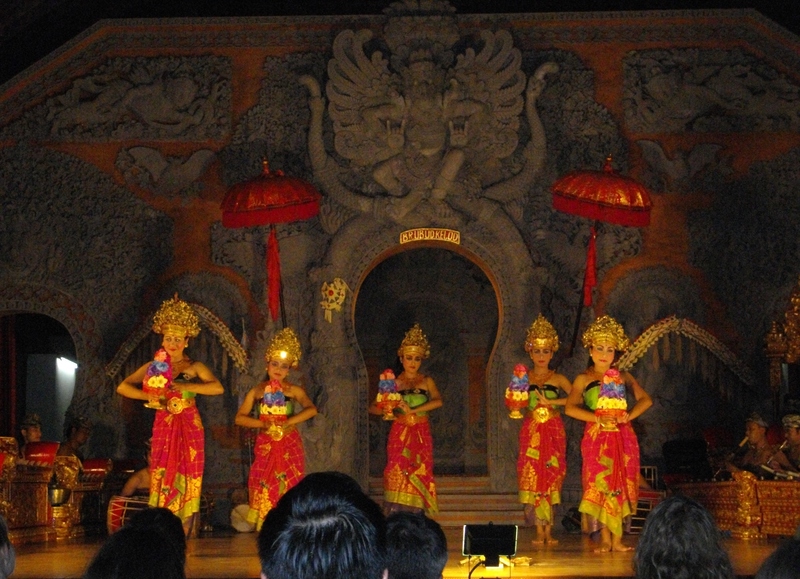 A belly dance show at a resort – kuta beach, bali. When asked what was the highlight of my trip – it was the dance classes I took and the shows I saw. It might be easy to think of this as a crazy response – e.g. the temples are incredible, the climate was perfect, the food inexpensive but I found dance as a way to experience the culture a little better. 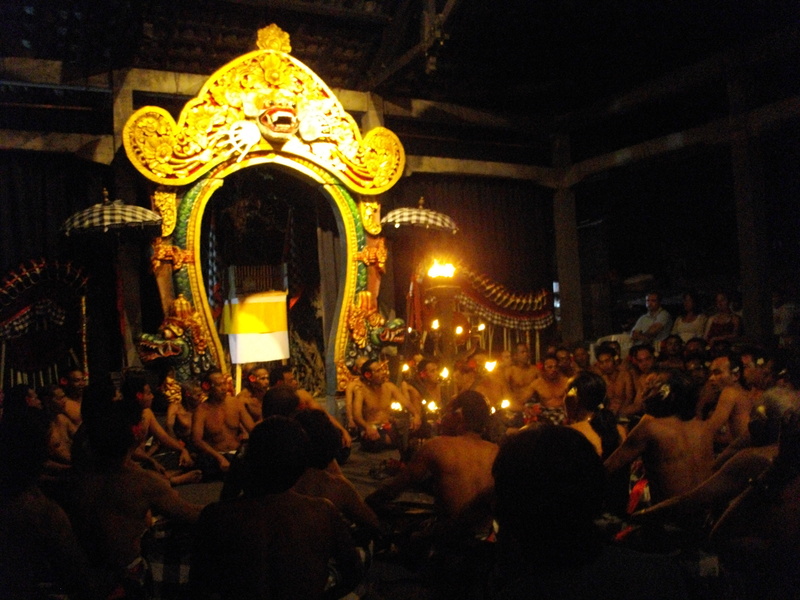 I took private classes in Balinese dance and even got invited back stage to a performance as a result. I took a great “Shakti” dance class (it’s a derivative of belly dance more on that in a post to come) and managed to catch both belly dance and Balinese performances. I was happy to join in the show! – anywhere you travel could potentially offer you unique and fulfilling ways to experience the place through dance. 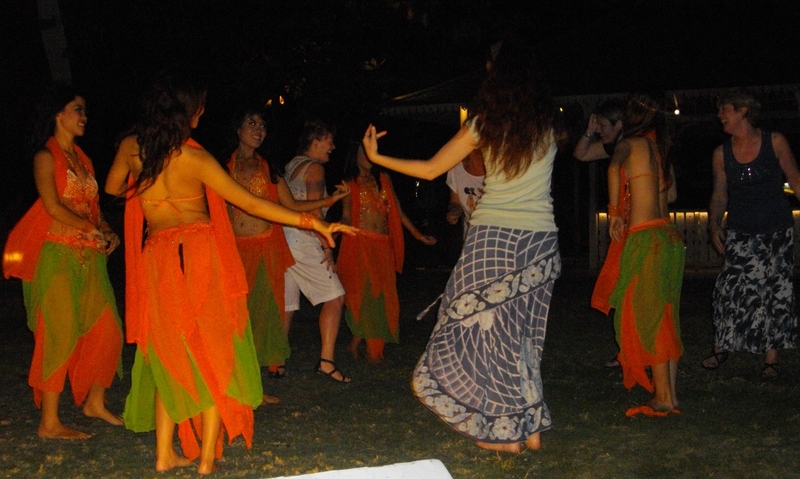 Belly dance is so popular throughout the world that even some very small towns have a vibrant belly dance community. Most teachers are happy to have an enthusiastic dancer drop in. Don’t be shy to try a different dance style that takes your fancy too. If the locals have a dance style then taking a class is a great way to meet the real people and get off the tourist track. You may even come up with some great fusion ideas from the experience. It’s a pain in the bum to find out where and when everything is if your accommodation doesn’t offer free wifi or if the connection is not great. It can be really expensive to use your phone connection for data while overseas too. Try a simple Google search or having a look on facebook and save the findings in a note on your phone (include times addresses and phone numbers). Before I left I got in touch with some Balinese belly dancers via facebook to find out about classes etc. Thank you a million times over to Allison Mulroy who answered so many of my questions about the who, what, when and how of Bali belly dance. She is doing a great job of promoting the dance style for everyone and strengthening the sense of community. 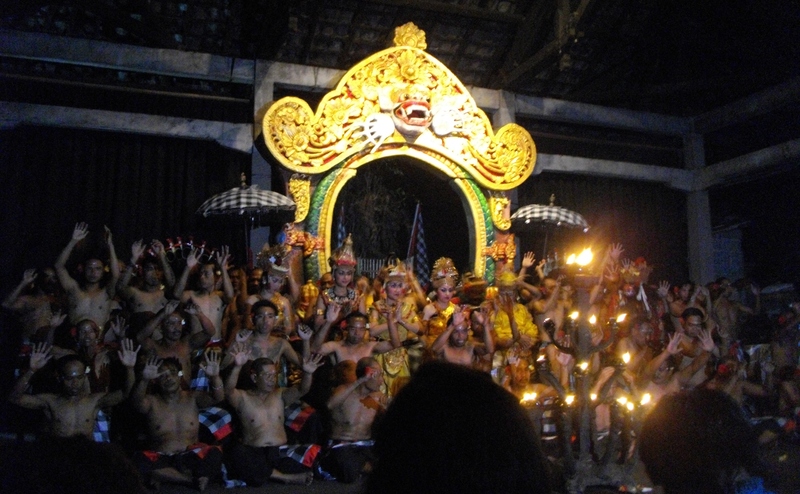 It is common for there to be a multitude of dancers and musicians at these shows that run nightly in Ubud. Well worth supporting! It’s a holiday! Unless you are travelling with a bunch of equally enthusiastic dancers that don’t want to see the sights then it’s likely you won’t be able to experience everything on offer. If you are travelling with kids then definitely go easy. Pick classes they can join in on too or performances that you think they may enjoy as well. Doing too much will only wear you out and possible cause tension with your travel buddies as you rush from one class to another. Pick a class that fits in with your time schedule with the most ease and enjoy it. 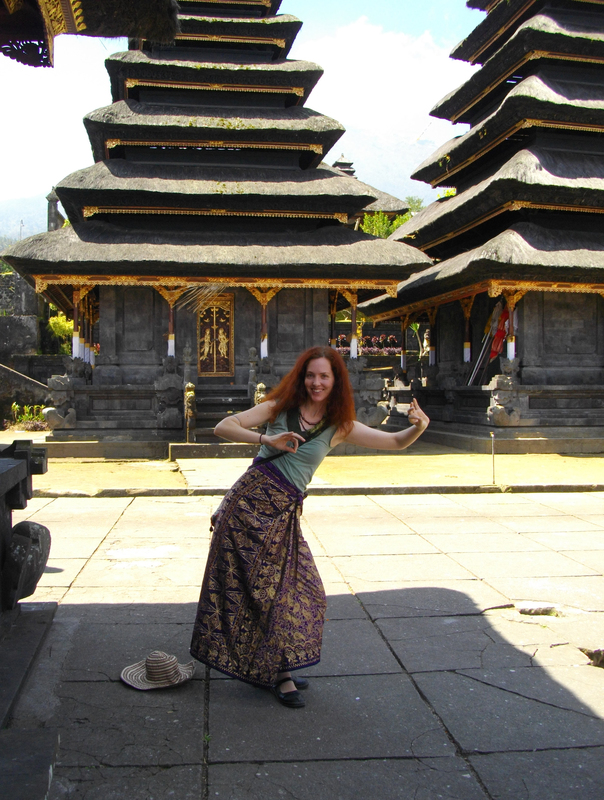 Trying to remember the Balinese dance positions to the cheers of locals! If you are a complete beginner then try and find easier classes for sure but if you are a bit more experienced then don’t stress if the only class available is an open or beginner one. Everyone teaches differently and chances are you will learn something new. Most classes are attended by locals and ex pats. Often when you are travelling you only get to meet those in the tourist industry and it can be hard making a connection with a ‘real’ person, not just someone trying to sell you stuff. There is so much variety in Middle Eastern dance- after 13 years I still am learning new moves and approaches to teaching. Different areas often have their own approach or style and it can be fun trying something new. My lovely Balinese dance teacher Debbie and myself – she was an excellent teacher (go to the library near the soccer field in Ubud). I didn’t even realise I was such a giant next to her until I saw this picture! You never know – you may make a lifelong friend! When travelling it is great to break routine but some elements of routine are really good for you. Like exercise! The odd dance class can help keep your bod in tip top shape! There are very few dancers that have made a lot of money from dancing. Most teachers do it for the love. Supporting dancers by going to their performances and classes means you are supporting artistic and cultural pursuits and a flourishing dance scene helps us all. It turned out to be the highlight of my trip. What are your thoughts? Would you take a class when on holidays? Would you like the occasional traveller dropping into your class? Please comment below.